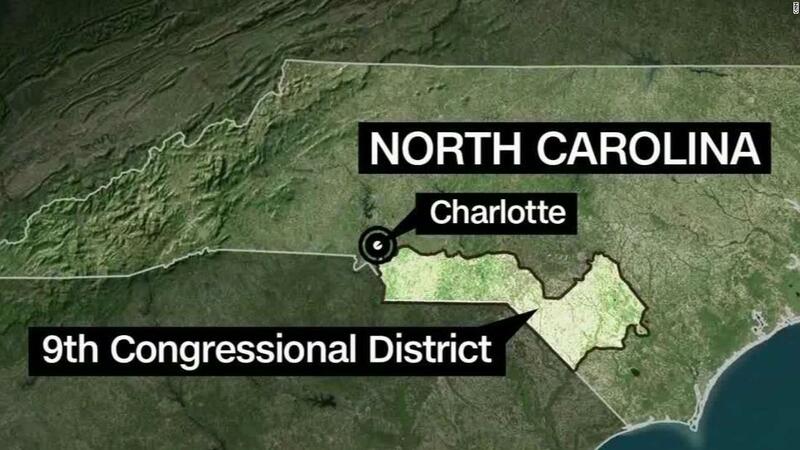 (CNN) The North Carolina state board of elections dissolved Friday without certifying results from the 9th Congressional District, throwing into doubt the prospects for a new election in a race tainted by allegations of ballot fraud by a Republican operative. Harris filed an emergency petition on Friday to certify his lead in the November election, moments before the nine-member board disbanded on noon Friday. But whether he’ll actually be sworn in as a member of Congress next week remains up in the air, as he would need a court to quickly rule that he is entitled to the seat — because the state board did not certify the result, there is no legal authority outside of a court order to allow him to take his seat. The board had refused to certify Harris as November’s winner amid evidence of irregularities in the absentee ballot count and reports of a fraud scheme directed by a Republican operative hired by Harris’ campaign. “Over the past month, it has become abundantly clear that North Carolinians had their voices silenced during the election in North Carolina’s Ninth District,” McCready said in a statement. “Mark Harris and his allies promised to support a complete investigation into this attack on our democracy. He has now broken this promise and is instead doing all he can to obstruct this bipartisan investigation into the illegal election activities within his own campaign. Earlier Friday, before filing the petition, Harris told WBT radio in Charlotte he is willing to take the fight to court if the board doesn’t certify the results of the election. Though the board has dissolved, board staffers can continue to work on the investigation, but they will not be able to issue subpoenas, hold hearings or call for a new election, said Josh Lawson, the board’s general counsel. “As you know, your client (Harris) is under a subpoena dated December 1, but has made only one production on December 7 totaling 398 pages,” the board’s former chair Joshua Malcolm wrote in its response to the Harris campaign’s petition. “Yet your client through counsel indicated that you possess roughly 140,000 additional documents that may be responsive but have not yet been produced. We have received repeated assurances—as recently as December 24—regarding your efforts to comply with the subpoena. North Carolina Republican Party’s executive director Dallas Woodhouse said Harris has been cooperating with the board’s investigation. The board’s current structure had been struck down before the 2018 election, but the court had delayed implementing that order until now. State Democratic Party officials have called for a new election in the district, and Republicans largely conceded a few weeks ago that a second vote will likely be necessary. The state legislature overrode the governor’s veto of a bill that requires any call for a new election to also provide for another primary, which would give Republicans a chance to replace Harris before a rematch with McCready. “To date, the State Board’s investigative staff has conducted more than 100 interviews, and the staff is actively engaged in the review of more than 182,000 pages of materials produced in response to 12 subpoenas issued by the State Board,” Joshua Malcolm, the Democratic chair of the board, said in an affidavit filed in court on December 21. Harris claimed specifically that Dowless said he does not collect, or “harvest,” absentee ballots, which Dowless is accused of doing and is an illegal practice in North Carolina. The state’s Republican Party applauded the Harris’ campaign’s decision to file a petition in court. Previous Post: Breaking News – Woman Gives Speech About Poverty..